Friday The 13th 2009 Director Marcus Nispel has taken his fare share of shots from fans over his effort with Jason Voorhees a few years back, but regardless of opinions, his Friday film is still the best released in the last 20 years. He has followed up his trip to Crystal Lake with a few other genre efforts, such as Conan The Barbarian and Exeter (originally titled Backmask). Now, we have learned that Marcus is set to direct a new horror tale, one that takes place on the high seas! 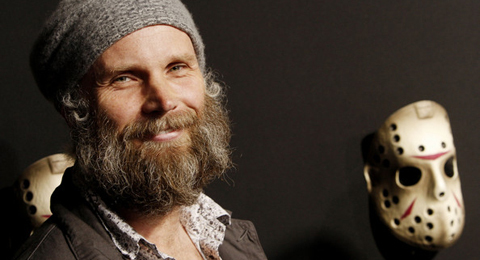 Marcus Nispel, director of THE TEXAS CHAINSAW MASSACRE and FRIDAY THE 13TH, will direct STOWAWAY, a claustrophobic and maritime horror thriller based on a story by Nispel and Juhani Nurmi and written by Scott Sandler, Connor Colebrook, and Nurmi. The film will be produced by LA-based White Sands Pictures and is slated for a fall production start. STOWAWAY will be produced by Nispel alongside Stefan Brunner (TAKE DOWN, GHOST RIDER – SPIRIT OF VENGEANCE) and executive producer Juergen J. Straub (GALLERY NY, OLYMPICS GO WEST). Blue Box International, a subsidiary of Red Granite International, is handling foreign sales on the project and will introduce it to buyers in Cannes. Based on the Nordic mythology of a seaborne-humanoid avenging creature, STOWAWAY takes audiences aboard a family’s yacht as they journey the high seas. On the surface, the Belkers appear to be the perfect family for the newly engaged Emma to marry into, until she discovers that at the bottom of the ocean lies a family secret that is about to tear everyone apart… emotionally and ultimately physically. The star of the movie, its creature, will be created in collaboration with Academy Award-nominated Make-Up and Creature FX specialist Mike Elizade of SpectralMotion (HELLBOY II – THE GOLDEN ARMY, BIRDMAN: OR (THE UNEXPECTED VIRTUE OF IGNORANCE)). “Having revived major franchises like The Texas Chainsaw Massacre and Friday the 13th, I intend to create the beginning of a new horror franchise with STOWAWAY. There has not been an edgy and original R-rated monster movie in a long time; a monster that is humanoid and strikes from below dark waters is so innately scary that it will stand shoulder to shoulder with other iconic brands, and at the same time reinvent claustrophobic and maritime horror, thus appealing to a whole new generation of audiences,” said director Marcus Nispel.